Numerical methods often are nested procedures with different parameters. As examples smoothing, penalty or parametric embeddings belong to this type of methods as outer techniques. As a rule, the obtained nonlinear problems require an adapted solution strategy, e.g. by Newton's method. However, this way an adequate parameter strategy is require to optimize the nested process. Similarly, in the discretization of nonlinear problems in function spaces the applied iteration techniques requires the mutual adjustment of the discretization and the accuracy of the solution of the approximation method. As examples particularly penalty embeddings with truncated Newton iterations are considered. It is shown that the presented approach can be considered as a generalization of the basic concept of the well know interior method technique. This way it provides a deeper inside into the parameter tuning. Finally, the discussed concept is applied to selected optimal control problems. Local variance estimator based fully automated choice rules for distributed regularization parameters in total variation based image processing are addressed. Utilizing a Fenchel predual problem, a bilevel optimization problem is formulated, analysed and numerically realized. In this context, the upper level objective penalizes violations of an estimated variance corridor associated with localized image residuals, and the lower level problem relates to the reconstruction problem. Our aim in this talk is to prove geometric characterizations of the free disposal condition for nonconvex economies on infinite-dimensional commodity spaces even if the cone and the production set involved in the condition have empty interior. In fact we will prove characterizations in a more general setting. We then use these characterizations to prove existence of Pareto and weak Pareto optimum points. We also explore a notion of approximate-Pareto optimum point, called extremal system. We show that the free disposal hypothesis alone assures extremality of the production set with respect to some set. In this talk, conditions for isolated calmness and isolated Hölder calmness of stationary solutions and local minimizers will be discussed. In the 1980ies and 1990ies, stability of this type was studied in many publications, but focussed on local minimizers for smooth and nonsmooth nonlinear programs under perturbations. Some linear or quadratic growth condition for the objective function and suitable constraints qualifications were usually the basic assumptions; applications and extensions to stability analysis of stochastic programs were given at that time by W. Römisch, R. Schultz and other authors. For the "classical" theory which studies also stationary solutions and more general classes of variational problems, we refer, e.g., to the monographs by F. Bonnans, A. Shapiro (2000) and D. Klatte, B. Kummer (2002). Recently, Helmut Gfrerer and the author came back to the classical approach, see, e.g., our common paper in Mathematical Programming 158 (2016). 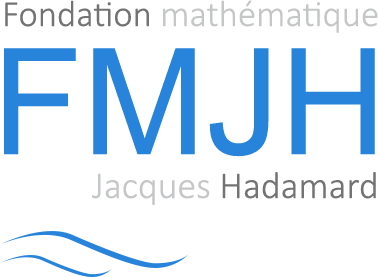 The purpose of this talk is to present and discuss refinements of well-known results and extensions to mathematical programs with equilibrium constraints (MPECs) by using a new type of constraint qualifications. This talk concerns optimal control problems for a class of sweeping processes governed by discontinuous unbounded differential inclusions that are described via normal cone mappings to controlled moving sets. Largely motivated by applications to hysteresis, we consider a general setting where moving sets are given as inverse images of closed subsets of finite-dimensional spaces under nonlinear differentiable mappings dependent on both state and control variables. Developing the method of discrete approximations and employing generalized differential tools of first-order and second-order variational analysis allow us to derive nondegenerate necessary optimality conditions for such problems in extended Euler-Lagrange and Hamiltonian forms involving the Hamiltonian maximization. The latter conditions of the Pontryagin Maximum Principle type are the first in the literature for optimal control of sweeping processes with control-dependent moving sets. Based on the joint work with Nguyen Hoang (University of Concepción, Chile). In this talk we consider a model of Cournot-Nash-Walras (CNW)equilibrium, where the Cournot-Nash concept is used to capture equilibrium of an oligopolistic market with non-cooperative players/firms. They share a certain amount of a so-called rare resource needed for their production, and the Walras equilibrium determines the price of that rare resource. We prove the existence of CNW equilibria under reasonable conditions and examine various numerical approaches for their computation. Finally, we demonstrate remarkably stable behavior of CNW equilibria with respect to small perturbations of problem data. Many problems in stochastic and dynamic optimization are built on specific stochastic processes. For computational reasons it is necessary and essential to approximate these processes. This talk addresses several possibilities of approximating stochastic processes and measures to quantify the quality of the approximation. This talk is intended as illustrated review of the collaboration with Werner Römisch over more than three decades, with emphasis on the beginnings and the most recent years. We present a short introduction into the modeling of flow networks in different application fields (electronics, gas transport, life science). Depending on the modeling level, the resulting system of equations includes ordinary and/or partial differential equations with algebraic constraints. We discuss the stability properties of these systems and their numerical discretizations depending on the network topological structure. We demonstrate how graph theoretical methods can be exploited for a stable and efficient simulation of networks. A class of semilinear parabolic reaction diffusion equations with multiple time delays is considered. These time delays and corresponding weights are to be optimized such that the associated solution of the delay equation is the best approximation of a desired state function. The differentiability of the mapping is proved that associates the solution of the delay equationto the vector of weights and delays. Based on an adjoint calculus, first-order necessary optimality conditions are derived. Numerical test examples show the applicability of the concept of optimizing time delays. This is joint work with Eduardo Casas and Mariano Mateos. This workshop benefits from the support of the FMJH Program Gaspard Monge in optimization and operation research (PGMO), from the support to this program from EDF, and, by the support of the Weierstrass Institute Berlin.